The David Lean Cinema, in partnership with the Croydon Dementia Action Alliance, are organising a series of popular music films throughout 2019. These Dementia Friendly screenings aim to make cinema more accessible by providing a fun and inclusive experience to enable people living with dementia, their families and carers to attend the cinema in a safe and welcoming environment. The lights are left on low, there are no adverts or trailers and the audience is allowed to move around or even sing along to any musical numbers if they’d like to. Admission is free for people with dementia and their carers. Tea, coffee and biscuits will be available before the screening. The dates and titles of the films are listed below, along with reservation links. All but the last film’s performances will start at 11am, with refreshments available from 10.15am. Our December pre-Christmas performance will start at 2.30pm, with refreshments available at 1.45pm. If you would like more information about these screenings, please use our online contact form, with Dementia Friendly Screenings in the Subject field. There are a limited number of wheelchair places. If you would like one of these, please let us know using the online contact form, with Dementia Friendly Screenings Wheelchair Request in the Subject field. This romantic musical features songs by Irving Berlin. 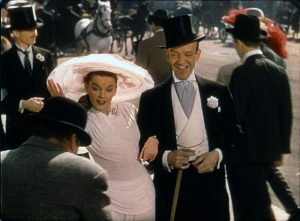 Fred plays Broadway star Don Hewes, who hires Hannah Brown, a chorus girl, played by Judy to prove that he can train anyone to be a star dancer and get back at his ex-partner. 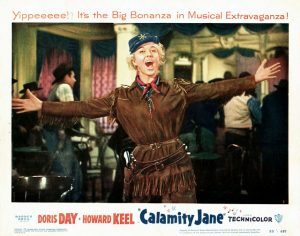 Calamity Jane (Doris Day) is the shotgun rider on the Deadwood stagecoach. When the patrons of the town’s saloon complain that they do not have a top class female entertainer, Jane rashly promises to get a star attraction from Chicago to sing at the saloon, much to the amusement of Wild Bill Hickok (Howard Keel). Four young London Transport mechanics convert a double decker bus into a travelling hotel, which they drive across Europe. 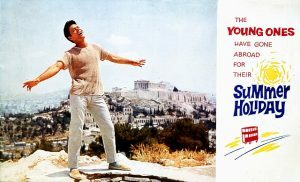 They pick up a runaway girl singer plus three other girls on their way to Athens. 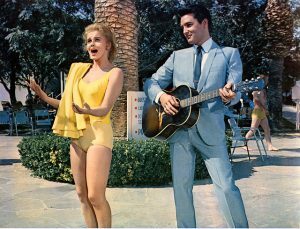 Elvis plays a US serviceman stationed in Germany who dreams of running a nightclub when he is demobbed. To raise money for this, he places a bet that he can spend the night with local hard-to-get dancer Lili, played by Juliet Prowse. 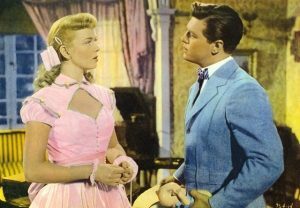 In the mid-1910s, the Winfield family, including tomboy Marjorie (Doris Day), move to the smarter part of a small Indiana town. Marjorie is none too pleased about re-locating until she meets neighbour William Sherman (Gordon MacRae), taking a break from his university studies. 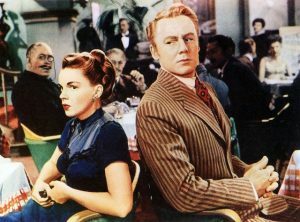 When Veronica Fisher (Judy Garland) gets a job at Oberkugen’s music shop, and starts bickering with Andrew Larkin (Van Johnson), the shop’s senior salesman, neither of them suspects that they are each other’s anonymous pen pal. Cliff plays Nicky, an aspiring singer, who joins his friends to try to save their youth club in London’s West End from an unscrupulous millionaire property developer, who plans to demolish it and build a large office block. 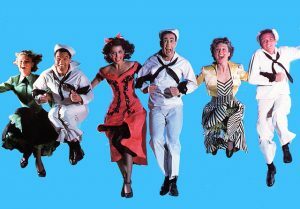 Three sailors (played by Kelly, Sinatra and Jules Munshin) embark on a 24 hour shore leave in New York, and each becomes romantically involved. 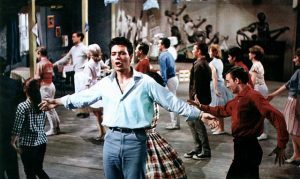 The music score is by Leonard Bernstein, and many of the dance sequences were filmed on location around the city. 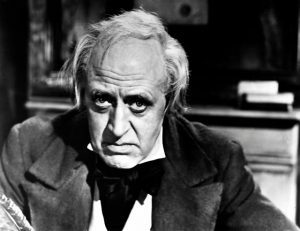 Alastair Sim heads a fine cast of British acting talent from the post-war era in this classic rendering of Dickens’s tale of moral redemption, as the miser Scrooge is made to change his ways following visitations from the ghost of his old partner and three seasonal spirits.